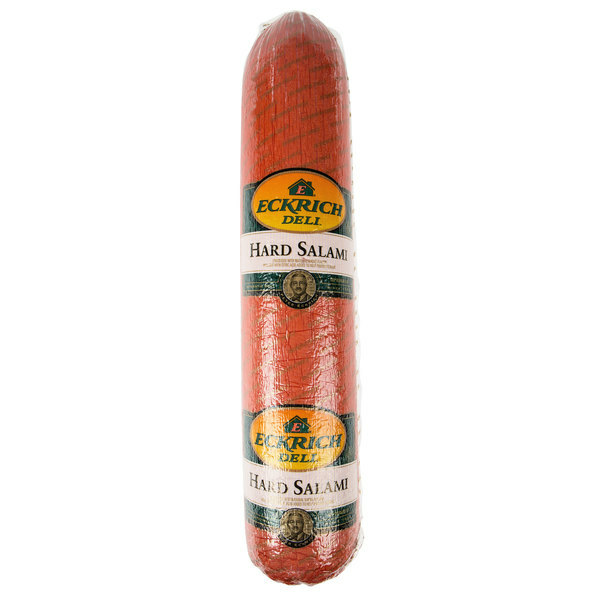 Add rich flavor to your sandwiches and entrees with this Eckrich Deli hard salami. This hard salami is crafted from high quality pork, beef, a signature blend of savory seasonings, and then smoked for a fresh, unmatched flavor. Build deliciously classic salami sandwiches in your deli, topped with smoked provolone cheese, dijon mustard, sweet pickle relish, and banana peppers on a submarine roll. Use for slicing by the pound for customers, or incorporating into your deli trays for catering events. You can even use this salami as a topping on your meat-lover's pizza, or in an antipasto salad with bologna. 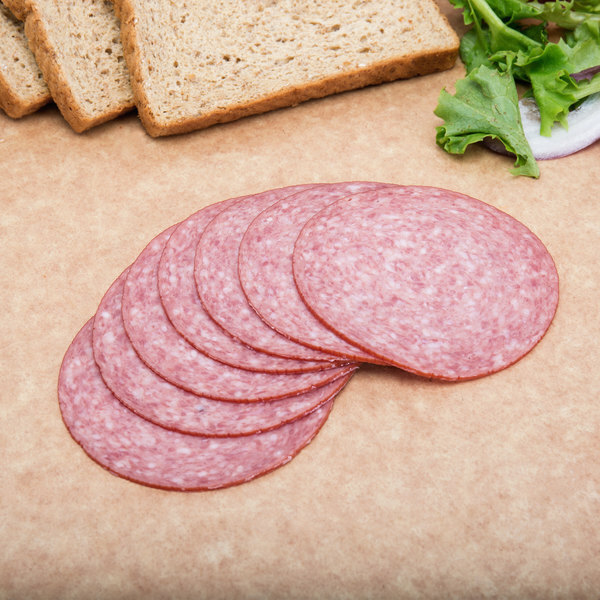 This salami does not contain by-products, fillers, or artificial colors or flavors for premium quality deli meat you can feel good about serving. BHA with citric acid is added to help protect and preserve its naturally rich, savory flavor, and it is fully cooked and is ready to serve to your hungry customers. Great for stocking at your restaurant or deli, Italian eatery, or bustling bistro, simply slice it thick or thin, or cut into cubes, to create a variety of appetizing meals to offer on your menu. At the age of 17, Peter Eckrich migrated from Germany to America and in 1894, opened a small meat market in Fort Wayne, Indiana. Rapidly expanding due to his dedication and craftsman ship, by 1932, Eckrich meats was a nationally recognized brand, known for their great tasting, supreme quality meats. 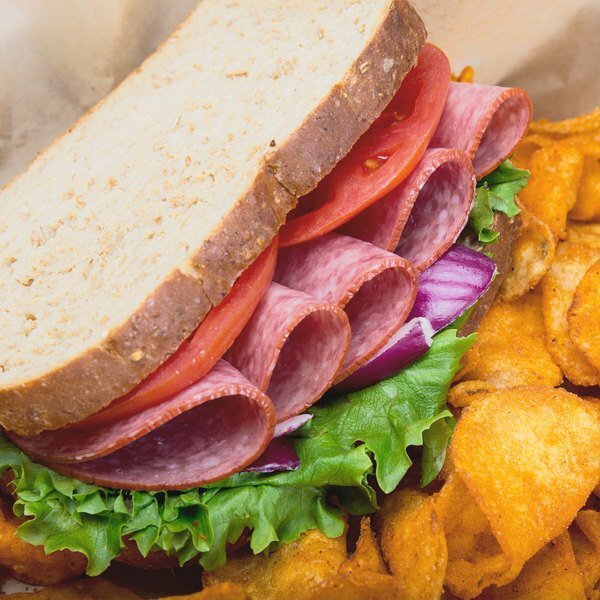 Continuing this dedication to quality and care today, trust in Eckrich Deli to provide products your customers will crave again and again.